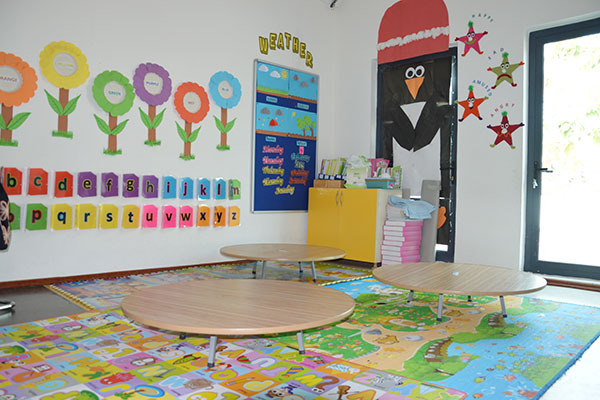 Innovative, fully equipped and air-conditioned classrooms with computerized, interactive whiteboards or Smart boards, which incorporate full Internet access. Class sizes vary from 15 to 20 students. The average student-teacher ratio is 6:1. The library is situated on the second floor, providing easy access for all teachers and students. An assigned teacher manages the library that is stocked with a large variety of reading and reference books in both English and Khmer. 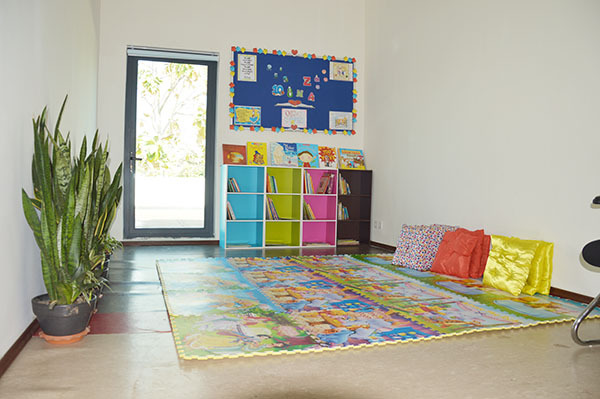 Spacious outdoor play areas comprise the outside regions of the school where students can unwind during outdoor free play time. 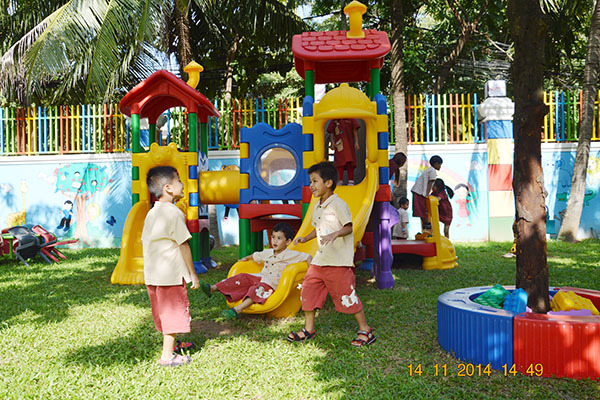 A green playground area with various slides, sand & water exploration play structures allow students to enjoy nature and experience boisterous physical activities. Also, the school grows organic vegetables at the allotted part of the garden. 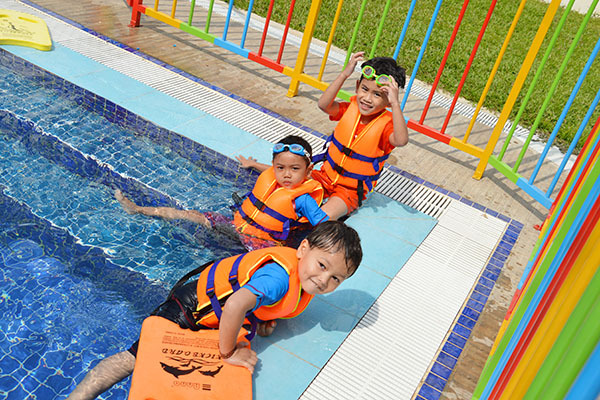 The swimming pool is securely fenced to ensure security of the students. Also, spacious changing areas with showers and WCs allow students to enjoy their swimming time with all possible comfort. 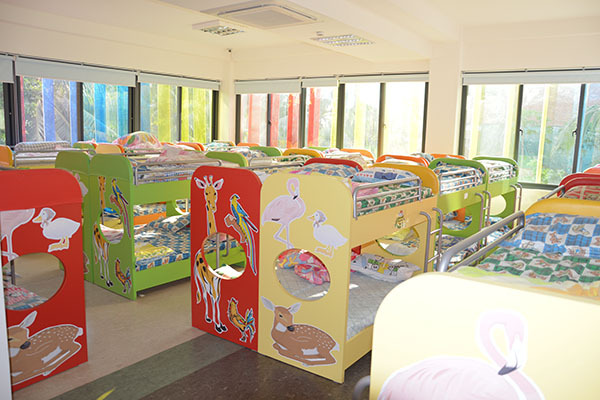 Located on the first floor, the lunch area has appropriate dining tables and chairs suitable for children. This furniture allows little ones to reach their food more easily.